Amélie Lemercier is 26 years old and comes from Normandy, France. 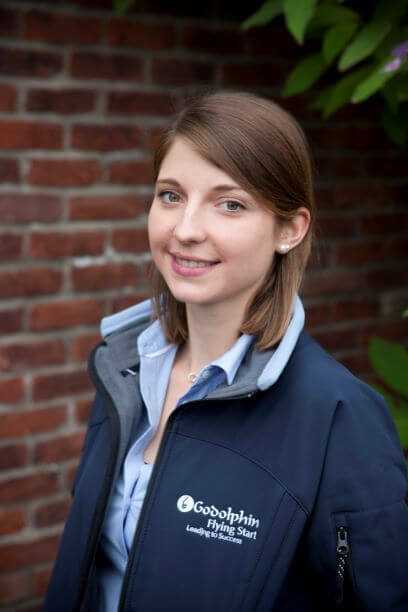 Amélie graduated in 2014 with a Bachelor in Management of Equine Business from the University of Caen Normandy. Before commencing Godolphin Flying Start, Amélie worked as a Marketing Assistant for His Highness the Aga Khan’s Studs (French and Irish operations) from 2014 to 2018. Amélie is the co-founder of the High Heels racing syndicate and she is a volunteer and a member of the steering committee of Au-Delá Des Pistes, a French retraining charity for off-the-track thoroughbreds.